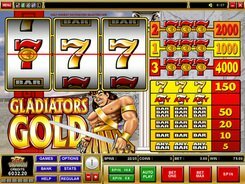 As a classical 3-reel video slot, Gladiators Gold has no bells and whistles typical of most modern machines. On the reels, you will see bars, gold sevens and red sevens. The loose reels are superimposed on an Ancient Roman arena with a gladiator adding a historical twist to the game. 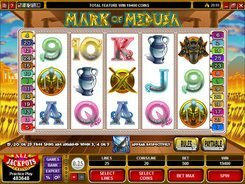 The gameplay takes place over three paylines, with a coin value adjusted from $0.25 to $5 and a single coin accepted per line. 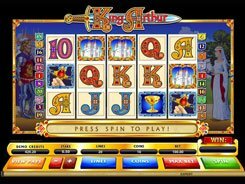 From that, your wager per spin can be anywhere in between $0.25 and $15. 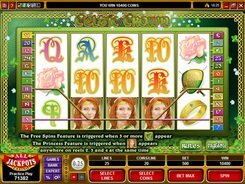 Bars are low-paying symbols awarding 5 to 50 coins for three identical or mixed bars. 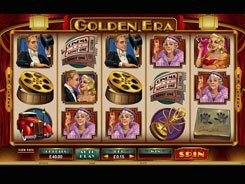 Golden sevens yield 150 coins for three on the payline, and the slot’s largest payer is the Red 7 that awards 1000, 2000 or 4000 coins. 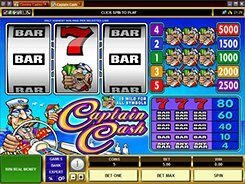 To qualify for the 4000-coin jackpot, you have to enable all the paylines by betting three coins, and spin in the full house of Red 7’s on line #3. 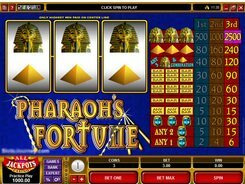 All in all, Gladiators Gold has a Vegas-style look and feel and no bonus features whatever, which makes it an ideal option for classic slot fans and first-time gamers who need a little practice.